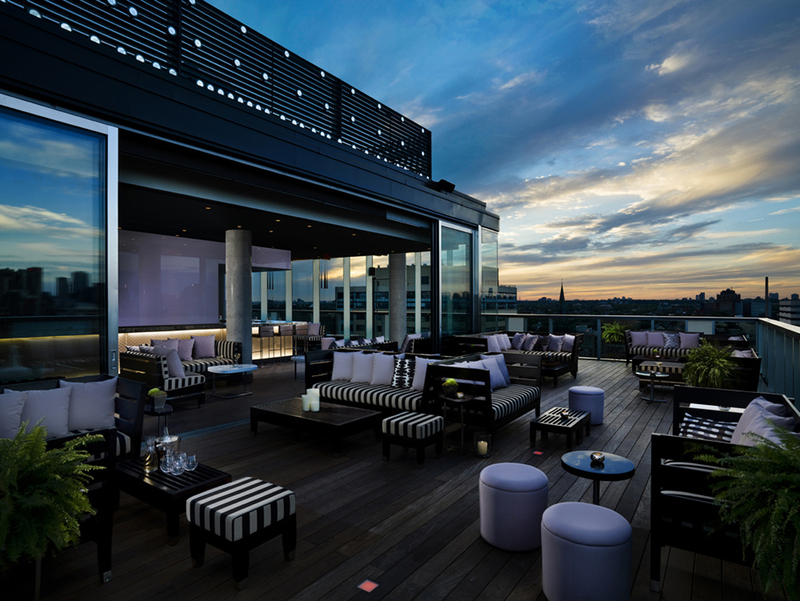 Since opening in 2010 the Thompson Hotel’s 3,000 square foot rooftop, boasting one of the best views of the city, has become the summertime ‘it’ spot! And when looking at the finished product, it might surprise you to know that we not only custom designed all the features, but did it in 8 weeks! Open winter 2016, the re-envisioned lobby bar has a slightly different flavour that equals the rooftop venue in style and energy. 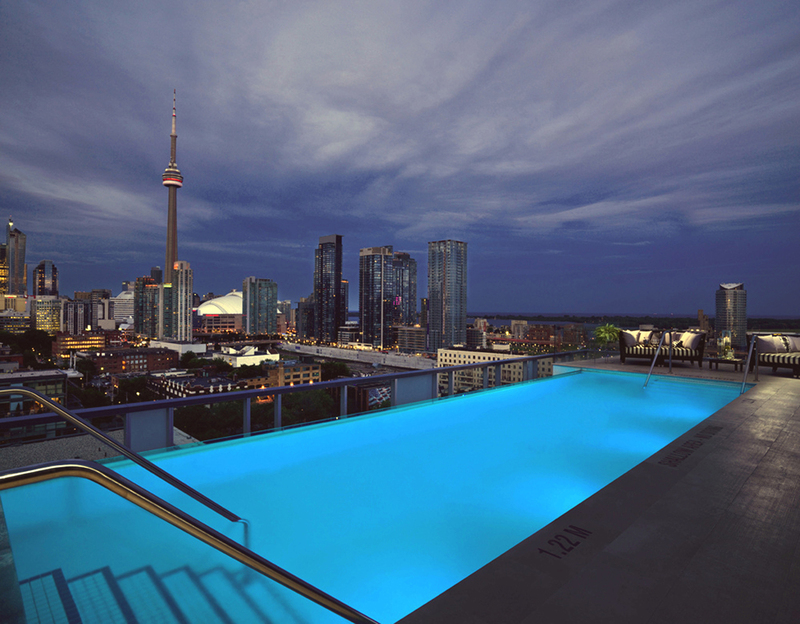 With a modern, contemporary edge the space is handsomely refined, its masculine undertones balanced by sculptural furniture forms, sparkling chandeliers and a 110ft Toronto skyline mural created by Spanish artist Javier Mariscal. 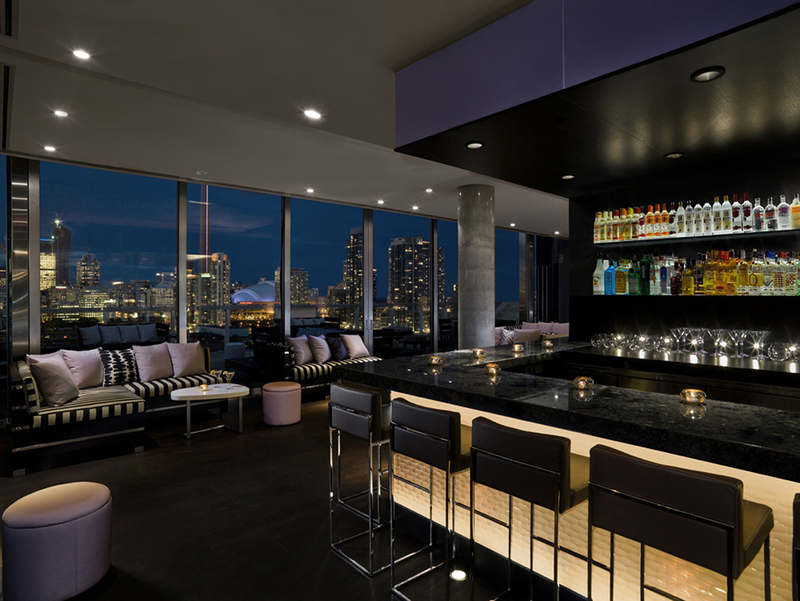 At the heart of the city’s vibrant “see and be scene” the hotel lobby bar attracts a sophisticated, urban clientele in the evenings and during the day functions as a welcoming environment that encourages travelers to interact, connect, relax and work.